Boyzone's final album will feature vocals from Alesha Dixon. The 'Britain's Got Talent' judge - who hasn't released any new music since 2015's 'Do It for Love' - has agreed to collaborate with the Irish boy band on a track for their seventh and last LP 'Thank You & Goodnight'. 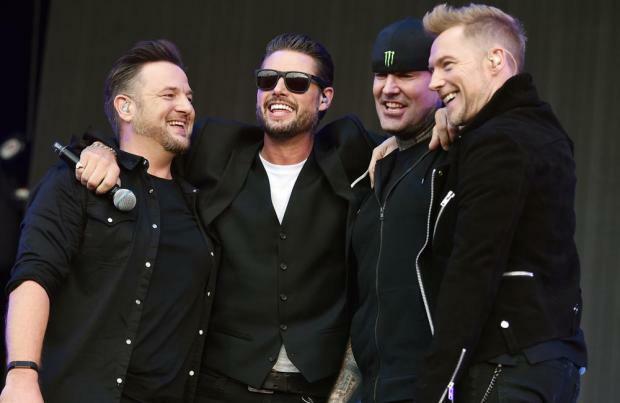 Speaking backstage at Radio 2 Live in Hyde Park, Boyzone member Keith Duffy told BANG Showbiz: "We have some great collaborations on the album. Alesha Dixon has duetted, well, featured I should say, on one of the tracks. "She's an amazing vocalist and it's a treat for us to get her on the record. We're friends with Alesha, we've known her for years. I climbed Kilimanjaro with her." And the former Mis-Teeq singer isn't the only big name to make it onto the album as Ed Sheeran and Sam Smith have also lent their writing talent to a few songs. The boys - comprised of Shane Lynch, Ronan Keating, Keith Duffy and Mikey Graham - have re-worked one of their late bandmate Stephen Gateley's solo songs, 'I Can Dream', as a tribute to their friend, who tragically died in October 2009 at the age of 33, on 'Thank You & Goodnight'. Shane said recently: "Do you know I think when it comes to this being our final album, it's amazing to be able to wrap it up with Stephen on there too. I think that was important for us. But it came to us. It actually dropped on our laps as a producer got in touch with us guys, or the record company, saying they have this stuff. He was moving his studio and he goes 'I've got Stephen's vocals on this record from '03 or '02. Do you guys want it?' And as it so happens we were making an album and we said '100 per cent, we'd love to have it.' "
'Thank You & Goodnight' will be released in November. The original soppy Irish boy band with granny appeal head out on their farewell tour.